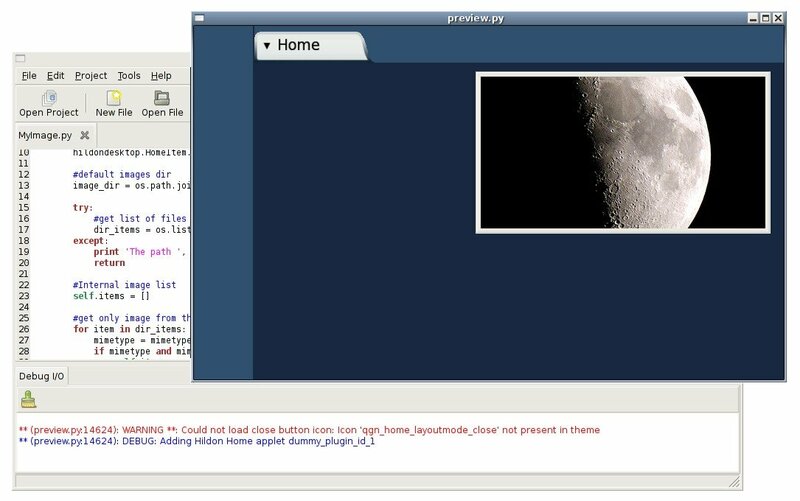 pyphantom is an IDE to help developers create Python plug-ins for Hildon Desktop. It is completely developed in Python with pygtk, gtksourceview and libhildondesktop. It is hosted under Maemo Garage. Information on how to setup Hildon Desktop running outside of the Maemo/scratchbox environment can be found here. If you have Ubuntu Gutsy, just install our supplied dependencies. You can add the following line to your source.list (Ubuntu Gutsy only) deb http://pyphantom.garage.maemo.org/ pyphantom/ for .deb packages. Currently only the dependencies are there. The latest release can always be found here. The latest stable release is 0.1.2. Bugs should be reported to the project's Bug Tracker.